Whacky reports starting flying around last night when a leaked and unlockable engineer build of Gingerbread (Android 2.3.3) found its way onto a consumer Atrix. Some were quick to think that this would happen in mass to everyone’s Atrix going forward through an update, but we’re standing by our thoughts that this unlockable build was never meant to see the light of day. 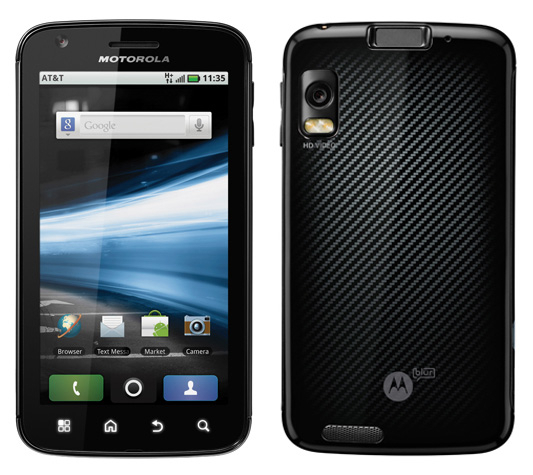 To our knowledge, Moto had no plans to unlock this phone yet. No matter what though, the damage has been done and the fantastic developers in this great Android community of ours have found a way to unlock everyone’s Atrix using files from this new build. That’s right, everyone running 2.2 can enjoy the freedoms that come with an open phone. All I can say to this, is that I hope Motorola sees the amount of positive press this has given a device that for the most part underachieved in sales numbers. I hope they realize that if they want to sell millions and millions of devices like they did with the original DROID, that they should watch the next few weeks of this device’s life very closely and see just how popular it can become. CM7 for the Atrix anyone? And how about that DROID Bionic? This sure would be a great way to make a big splash, especially after so many delays. Let’s do something big Moto! /fired up. For instructions on how to unlock your Atrix, head over to RootzWiki. Credit for the files goes to XDA.